An elegant wintergreen border, mixed with a classic brown cross, features your child's photo. 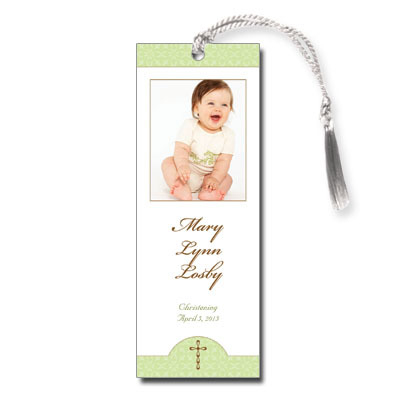 Finished with a white satin tassel, this bookmark makes the perfect keepsake for this blessed event. Assembly is required.